Test message. Posting after a long time. Question to those in the know. 1) Does IA exchange fire along IB or is the firing only along the LOC? 2) Why does IA not open up with firings on multiple fronts along IB? i.e. force TSPA to expend men and materials along IB to fortify their positions to protect their bacon. Really saar you need an explanation on why MMS and Mataji had tied the hands of the Indian army. For tomorrow get your Dumroo and Trishul ready and sabhi bolo, "Har Har Mahadev"!!! Shamlee wrote: Isn't AAP (Meera Sanyal) eating Congi votes? Shamleeji, Meera Sanyal is a non factor. At best she may get 20,000 votes (double of what she got last time) compared to the winner from last time who got close to 270,000 votes. Rajiv Latherji, please edit your words. This panga with Mods will lead to no good. Array bhai, Jab Haathi chaale bazaar may tho Kutte bhonke hazaaron may. Why pay attention to the bonkay walle kutte? ramana wrote: ESLN is one dude who needs to go after new govt takes office. Rajiv Latherji harakiri na karo bhai, Aache din aane wale hain!!! Jalnay walon ki boo aati zordar, kyonki Aab ki baar Modi Sarkar!!! chaanakya wrote: Poverty to Rahul is a State of Mind. 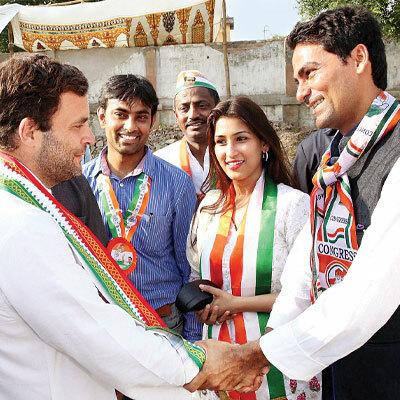 How INC candidate Md Kaif from Phulpur says Victory and defeat is a Mental process. Why is pappu looking at the chest and not aankh milaoing with Md. Kaif? Prof Nalapat rips apart the Family Mafia. KJoishy wrote: Guys post your fastest 3.5mile timings. Let's make milk to milk and water to water. 8 months ago it was 0:37:59. I would like it to be less than 30 mins before end of year. SoniaG = Captain of 40 thieves (Ali Baba & 40 thieves). Don't repeat Mustafa's mistake of unknowingly helping thieves by voting for Hand? Feel free to tweet if you can to prospective Indian voters. KJosaar google for C25K (couch to 5K program). It lays out a plan to be able to run 5k in 3 months. It works if you stick to it. you may may modify it a bit to suit your needs.